We are constantly growing and are currently looking for a Global Recruitment Specialist to join our newly introduced Recruitment Team and help build the best possible teams for the business across the globe while based in our Athens Office. Collaborate closely with business leaders to recognize key priorities and time requirements, identify potential gaps, determine job qualifications; solicit feedback on candidates to refine recruitment process while building sourcing strategies to reflect those priorities. Identify, engage and build a network with active and passive candidates from entry-level to senior-level ensuring a best-in-class candidate experience; provide candidates with frequent, timely communication throughout recruitment process. Manage the full-cycle recruiting process effectively and efficiently; maintain the highest level of client and candidate satisfaction; and provide strong hiring process guidance and execution. Build and maintain candidates’ database intelligence for future job openings; ensure a high degree of data integrity and accuracy in the ATS and related systems. 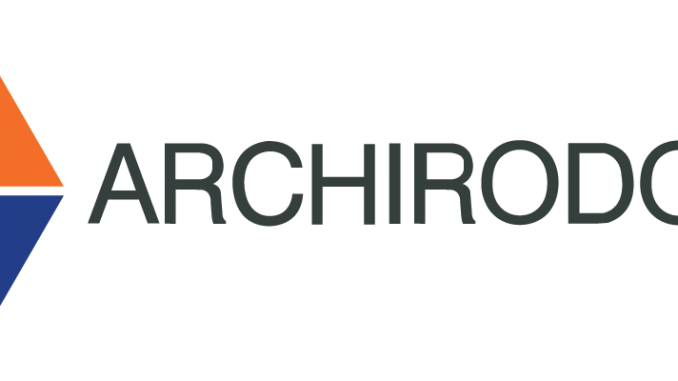 Position Archirodon as an employer of choice in the global marketplace; educate candidates on the culture, growth potential, compensation and benefits of working with us; and participate in recruitment events and job fairs to network in – person. You’ve done recruiting for at least two (2) years in a recruitment consulting company or inhouse; If you possess technical recruiting experience with construction engineering degree candidates, even better! You are at least BSc holder; A related BSc degree in engineering to understand the technical side of things is gladly welcomed. On top, if you possess an MSc or equivalent degree in HR, Organizational Psychology, Business studies etc. you have a point in favor. You are a self-starter; You will work with your manager to iterate on hiring processes, adding automation and efficiency improvements along the way. You don’t mind a little ambiguity as we figure it out together. You provide a positive and healthy candidate experience; You know that a job search is by nature a challenging project and by sweating the small thing you can provide a more positive experience for everyone involved. You are data driven;You go back into data and metrics to set priorities, assess progress, refine strategy for ultimately meeting business expectations. You are resourceful and ownership taker; You are willing to research and follow through any given option to find the answer and are fully accountable to get things done, to both the hiring managers and candidates. You are a true team member; You are ready to step in with no ego to help wherever we need it most. You enjoy travelling and working with different cultures; You may be required to travel to meet candidates, hiring managers and global recruitment team located in our international offices. You advocate for the value of diversity and inclusivity of gender, race, background, and diversity of thought. We offer appropriate on-the-job training, excellent opportunities for a challenging career advancement in an international environment, and a competitive remuneration package. Yet, the real joy comes from being a member of a newly introduced recruitment team, within a leading international EPC group with great room to build things and create a considerable business impact on a mission that matters! If you think you might be who we’re looking for, apply quoting the Position’s Code: GRC/111910 by Clicking Here.